If you haven’t been living under a rock for the past few years, you’re very familiar with mobile devices of some kind – from smartphones to tablets and even Google Glass, you’re bound to have one on hand by now. But, as the old adage goes, familiarity breeds contempt, so you might be feeling that your interaction with the device is no longer the fun, rip-roaring ride it used to be. If your eyes just glazed over with boredom, as you think to yourself that this is just another article about wooden frames or speck-protective cases and all the other makeovers that only work as a temporary facelift – think again and read on! The good news is that, as always, gadget manufacturers are one step ahead and they’ve concocted a great number of ways – some of which are genuinely helpful, others, just plain fun – to add some spark to the user-device relationship. Even for the everyday tablet and / or smartphone user whose device has become an extension of their hand, it might come as a surprise that life can be made even easier through the use of some secondary gadgets. The freelancer or entrepreneur, for one thing, can save himself some POS hassle by tacking a card reader onto their mobile device. These sometimes come free of charge – one easily manageable option you might want to try comes courtesy of Moblized – will connect to your business’s user account, that you’ve previously configured, and allow you to make transactions even while on holiday! You can accept credit cards wherever you are, regardless of WiFi (most have a 3G option available), issue receipts and even print them out. For businessmen on the go as well as, say, comic book artists with a never-ending stream of ideas, there are a variety of styluses out there that they can use to write or draw on their tablets. These come in different shapes and sizes, some even integrate a real ball point pen at the other end into the bargain, and they are ready to use right out of the box. The best ones out there have a rubber tip that, unlike with the first-generation foam-tipped ones, doesn’t compress, which means you have complete control over your sketching. You can even use it as a learning tool, a modern-day equivalent of the Magna Doodle, if you will. There are plenty of add-ons to choose from when the success of the relationship you have with your device comes down to how well it meets your gaming and entertainment needs. 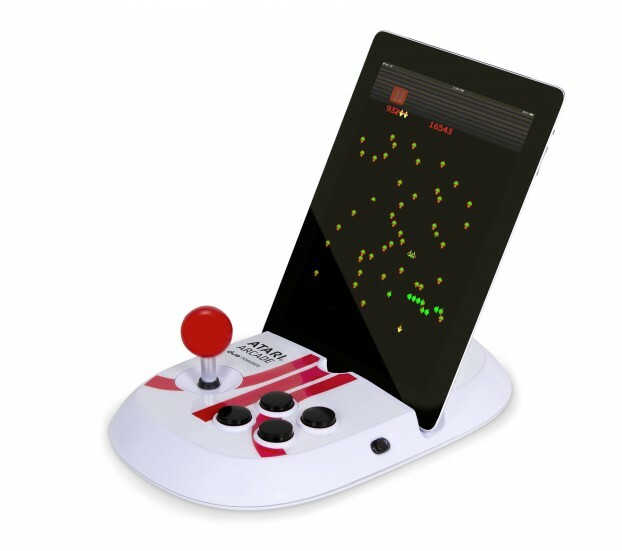 Some come complete with a tinge of nostalgia, as they’re made to look like your favorite childhood arcade machine. Other such hardware additions come in the form of speakers, for the music fanatic, yet others provide you with your own personal home cinema – albeit as small as your tablet. These tablet stands will often provide you with a two-angle viewing option and a sound amplifier that mimic the cinematic experience to a tee. So, if you feel it might be time to inject new life into your device, feel free to invest it with all the super-powers that the market has to offer! As with other meaningful relationships, you’ll always find the TLC is worth it. Next story Don’t Become A Pump and Dump Victim! Learn Before You Act!